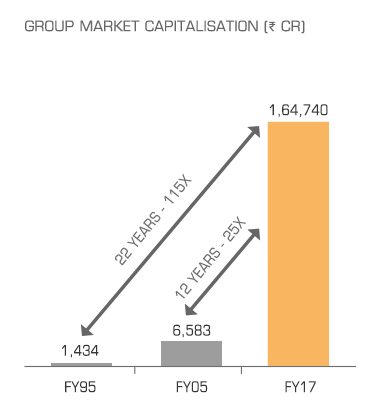 Through the efforts of our people, we have grown consistently and significantly in the last decade. The last decade has witnessed phenomenal growth in revenues, profits and geographical spread, laying the foundation for us to pursue our aspiration of making 'Mahindra' a globally admired brand. 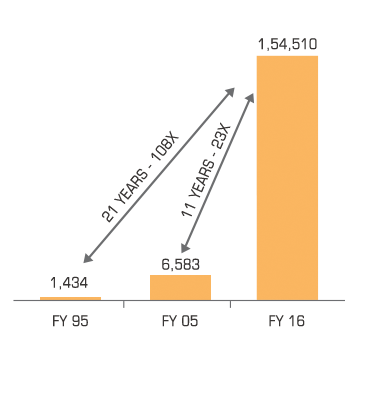 Several of our businesses enjoy leadership positions in the industries in which they operate. We remain committed to investing in technology and innovation to maintain and strengthen our leadership. 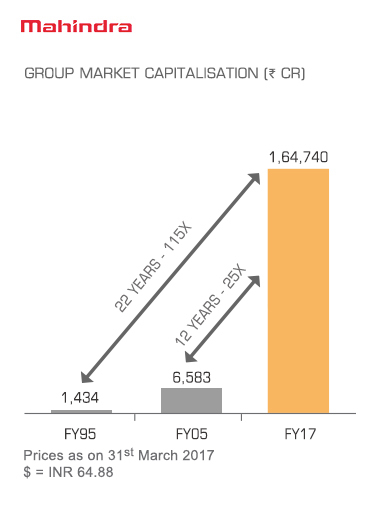 The Mahindra Group has consistently created value for all stakeholders.The total Market Capitalisation of the Group has increased by 115 times in the last 22 years and by 25 times in the last 12 years. Small bets then. 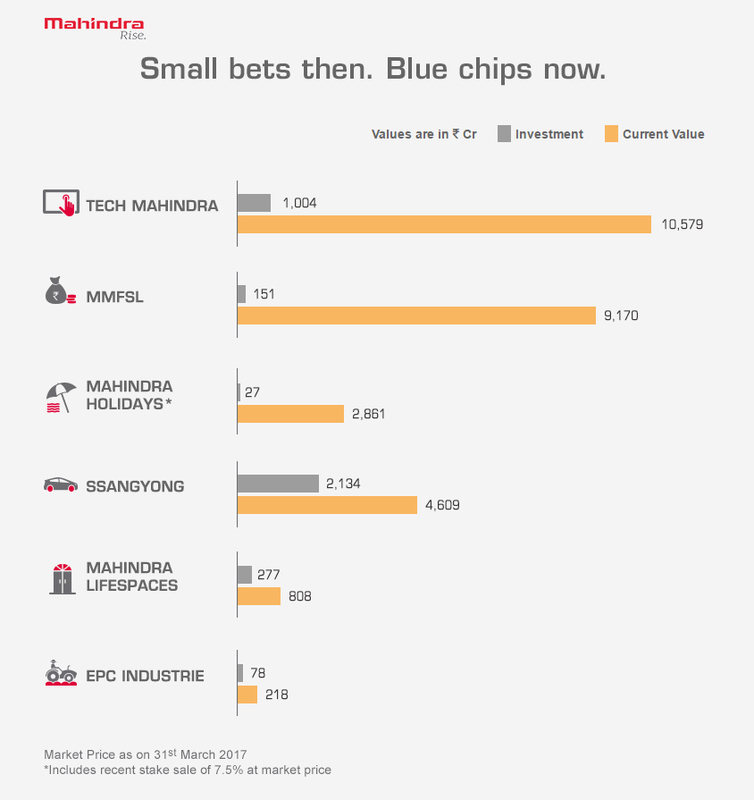 Blue chips now.